Vendor management is the functioning center to most businesses … and we really can’t live without it. This includes IT services, office supplies, delivery services, utilities, rentals, and the goods needed to run business day to day. GET entire list of vendors here. When you consider the myriad of services and supplies businesses need in order to operate strategic management of those service providers and vendors – they need to be first and foremost the core of importance, but you’d be surprised at how often it isn’t. Most companies might think their vendor management solution is “just fine the way it is”, and in some cases that might be true. The real issue is that only a few businesses know exactly what to even LOOK FOR or even where to begin, and without that information they might find that their current process is lacking in more ways than one. So how do you ensure you have the BEST VENDOR MANAGEMENT SOLUTION? You must consider availability of all billing, agreements and documentation. 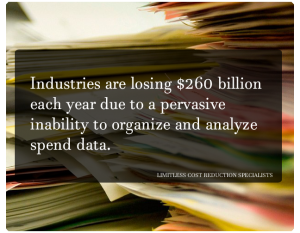 How easily accessible is every document related to every vendor? How updated is the information? How efficient is the management process? Do you feel any time is wasted in finding, organizing, interpreting and optimizing? Is billing fair? Are there any errors in billing, oversights, overcharges or invoices for services not even rendered? How often is all vendor related information from billing to contracts evaluated? Rated? What about the quality of the service … Is quality being accessed? Vendor management is more than getting the lowest price. Most often the lowest price also brings the lowest quality. As the saying goes: “you get what you pay for”. Be careful not to short-change the vendor by trading off quality as this could have a profound impact on your own business. The key is for BOTH SIDES to align on what constitutes as quality and a good value. You and your vendors should be willing to negotiate a fair price while receiving the expected quality. If the vendor is serious about the quality they deliver, they won’t have a problem specifying the quality details in the contract. Because vendor management inherently means dealing with a great deal of third party businesses, services and providers, it would be ridiculous to assume that one solid strategy will never need tweaking, reviewing and changes as time goes by. Vendors change their prices from time to time and in order to ensure you get the best deal, it’s important to keep an eye on any new pricing, billing or contract changes that could either benefit or hurt your business. 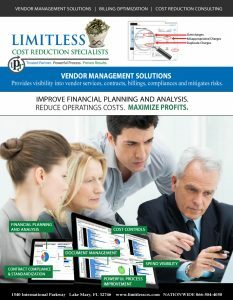 LIMITLESS offers a fully managed solution to ensure you are “paying for what you are receiving”. Ensuring contract terms are met as well as compliance standards. Tracking any potential risks, optimizing your billing and managing all contract and agreements in one central software solution.